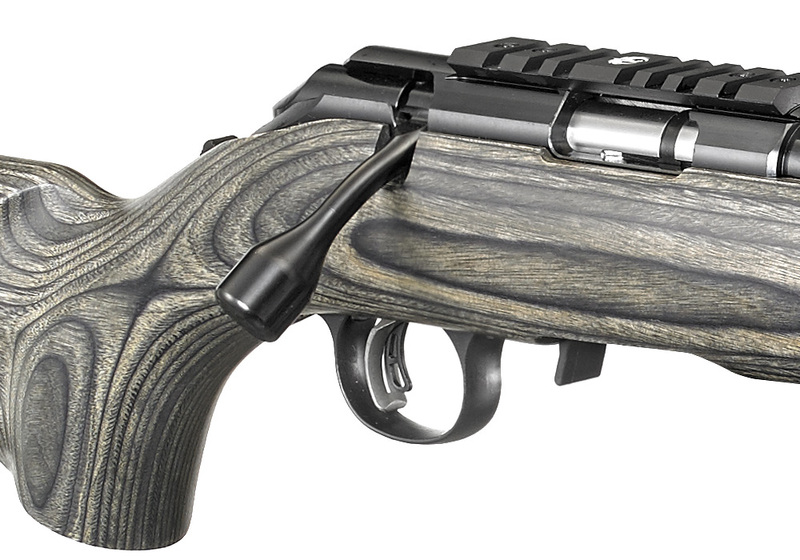 Models chambered in .22 LR include the patented, detachable, flush-mounted BX-1, 10-round rotary magazine and accept all 10/22® magazines, including the BX-25®, BX-25®x2 and BX-15®. 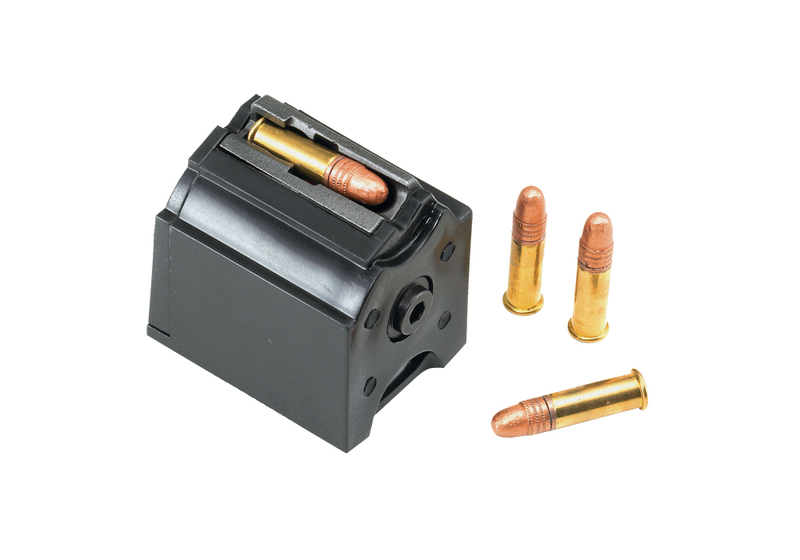 Models chambered in .22 Magnum and .17 HMR use the detachable, flush-mounted JMX-1, 9-round rotary magazine and accept the BX-15® Magnum magazine. 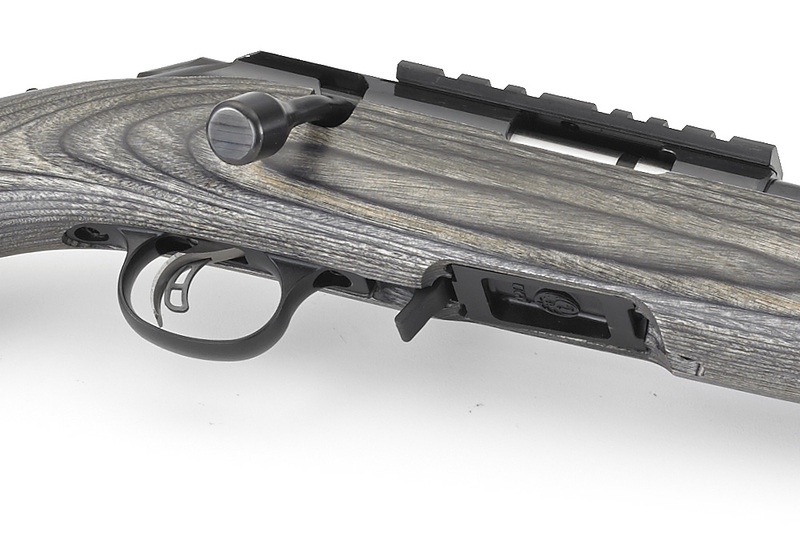 Black laminate stock features an Alexander Henry forend in addition to sling swivels front and rear, to help you steady your aim whether shooting off of sticks, a bipod, or sling. 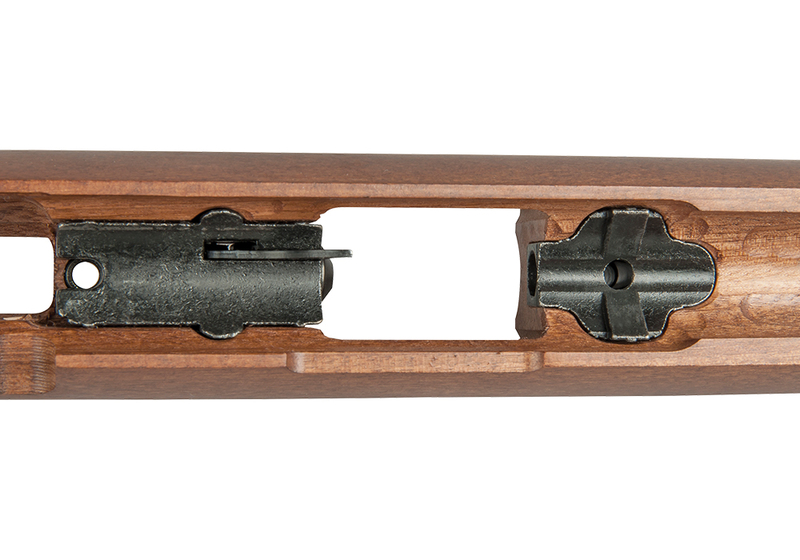 Rubber buttpad anchors the rifle at the rear. 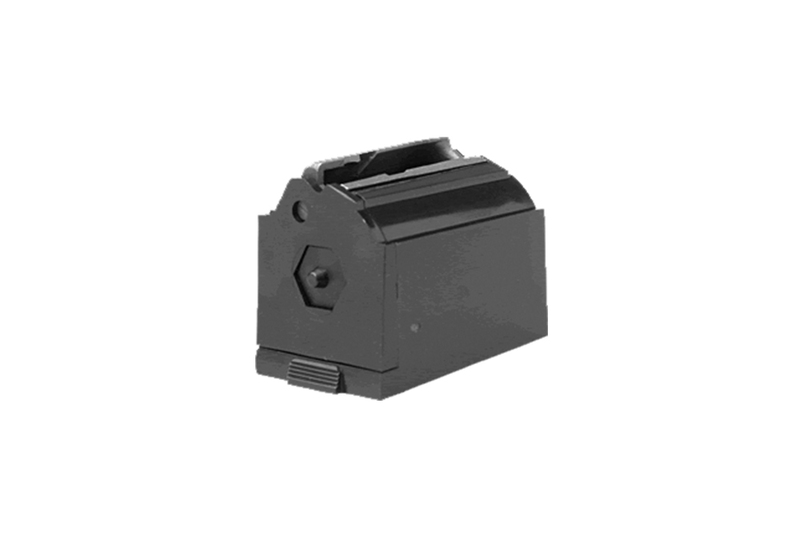 Easy-to-use, extended magazine release provides smooth, no-fuss removal of the flush-mounted magazine. Patented Power Bedding® integral bedding block system positively locates the receiver and free-floats the barrel for outstanding accuracy. 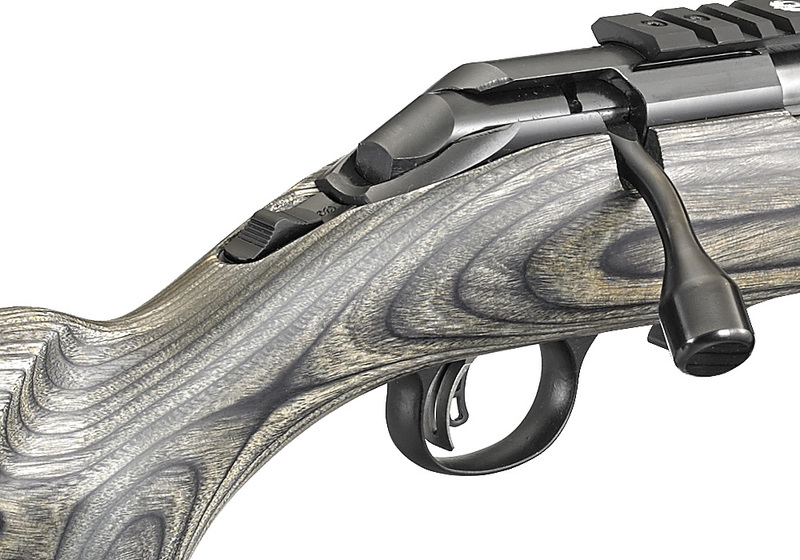 Ruger Marksman Adjustable™ trigger offers a crisp release with a pull weight that is user adjustable between three and five pounds, allowing shooters to make that perfect shot. 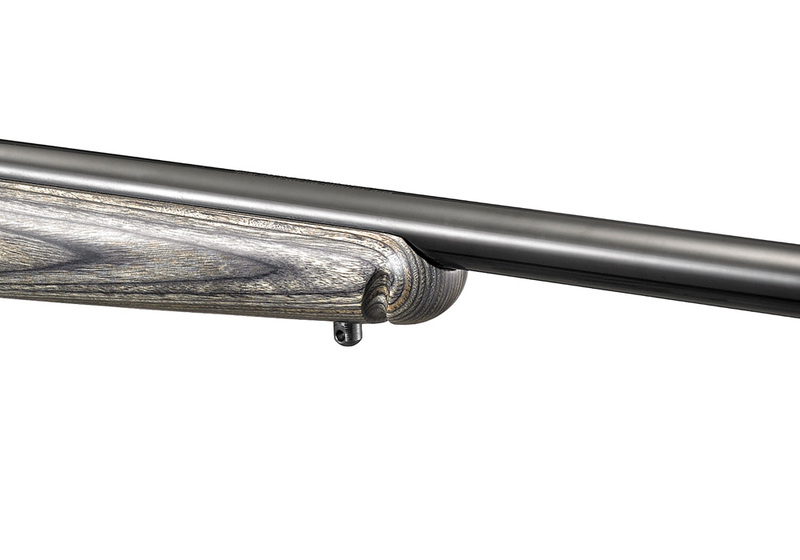 Threaded 0.860" bull barrel with factory-installed knurled thread protector is cold hammer-forged, resulting in ultra-precise rifling that provides exceptional accuracy and longevity. 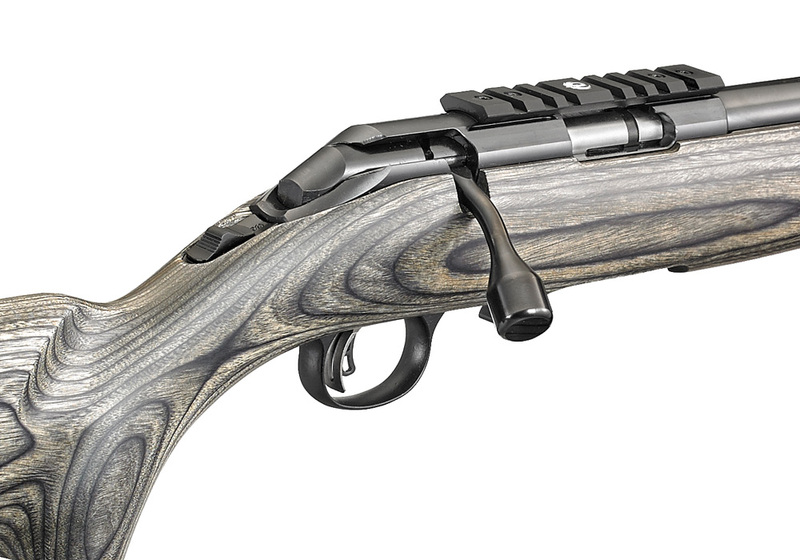 A 60° bolt provides ample scope clearance and the easy-to-use, receiver-mounted bolt release allows the bolt to be readily removed without requiring a pull of the trigger, a unique safety feature among rimfire, bolt-action rifles. Also includes: sling swivel studs.